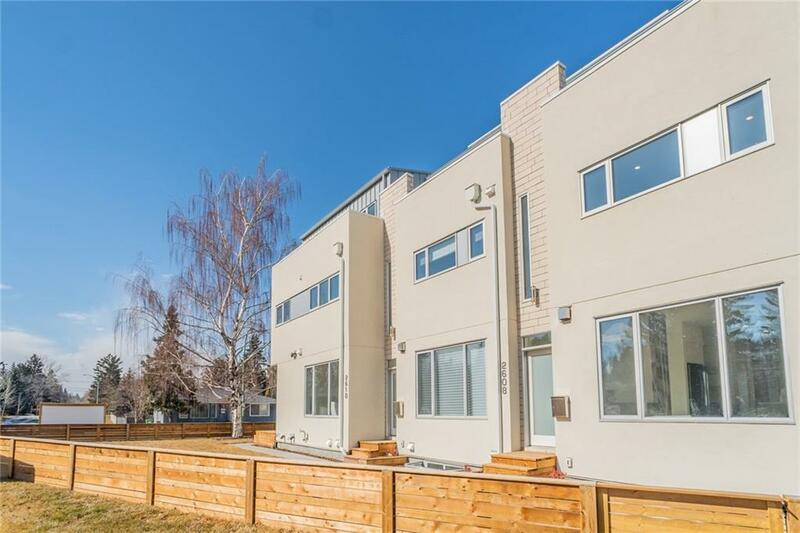 Stunning 3 storey townhome from INNURSKAPE. Built LEED Silver Certified (Leaders in Energy & Environmental Design) for reduced heating costs, H20 savings (approx. 30%) & cleaner air quality with a built-in radon gas fan. Solar panels are also installed on the roof for approx. 30-40% electricity savings. Gorgeous 18' vaulted front entrance with Kuzco linear lighting fixtures. ** $5000 travel voucher or credit to buyer! 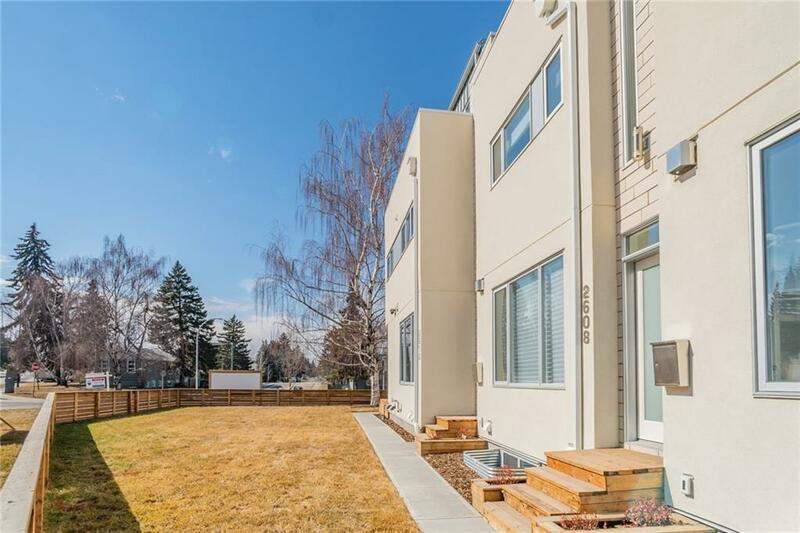 ** Living room with cozy gas fireplace, spacious designer kitchen, full height cabinets, 2 pantries, gleaming quartz counters, built-in recycling, prof. SS appliances, incl. a 5 burner gas range. Dining room opens onto a private patio retreat for bbqs. 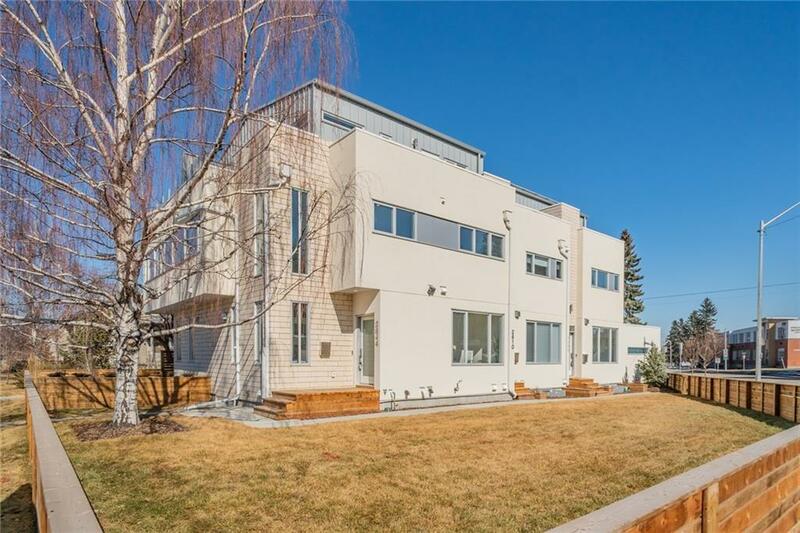 2nd floor includes 2 large bedrooms, laundry & a beautiful full bath. 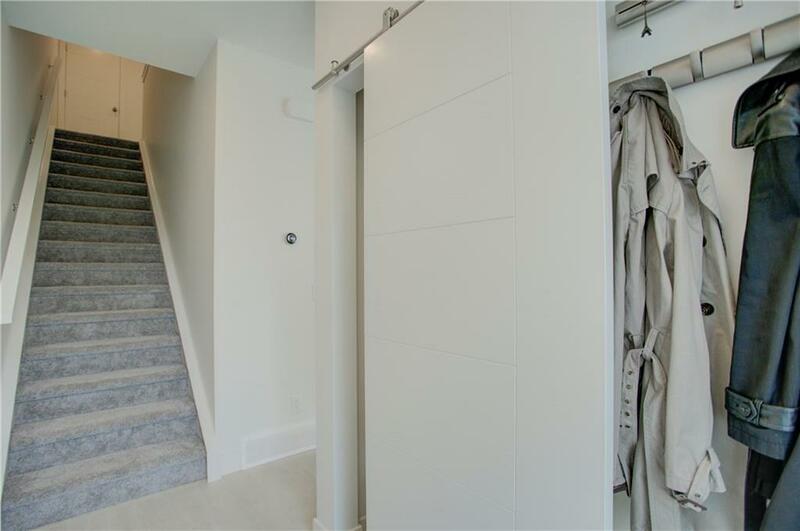 Vaulted 3rd storey MB boasts a private facing south deck, stunning ensuite & custom built-in closets, bench + laundry hamper. Downstairs is fully finished with a 4th bedroom, 3rd full bath + media room. Upgrades include designer feature walls + custom Hunter Douglas Blinds.